A stunning reference of flora for the South Coast. 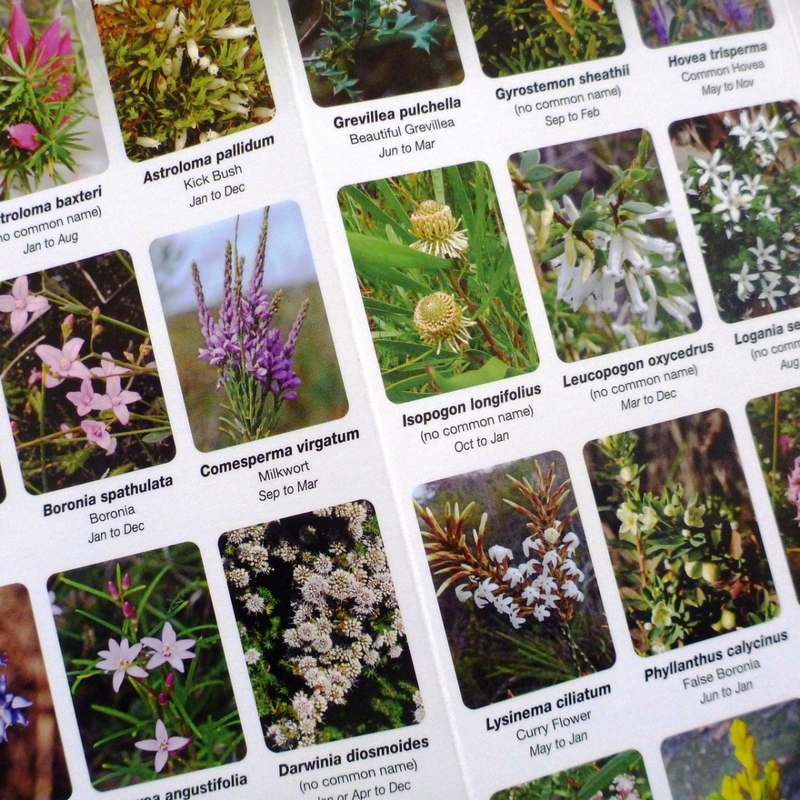 A very useful lightweight, waterproof guide to wildflowers from Nullaki to Betty’s Beach on the south coast. 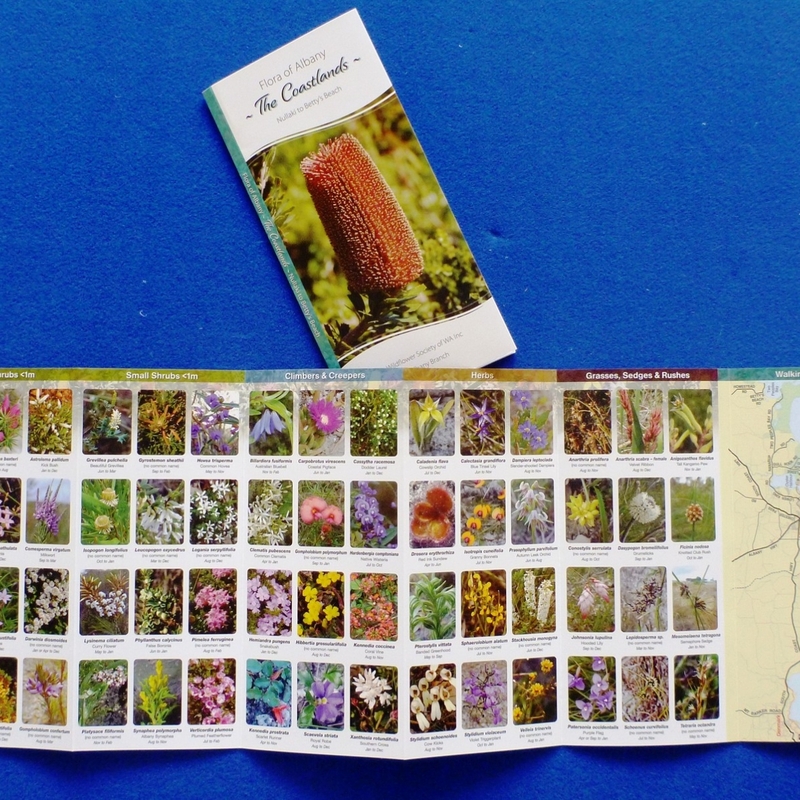 A must for all walkers interested in identifying wildflowers of this region. 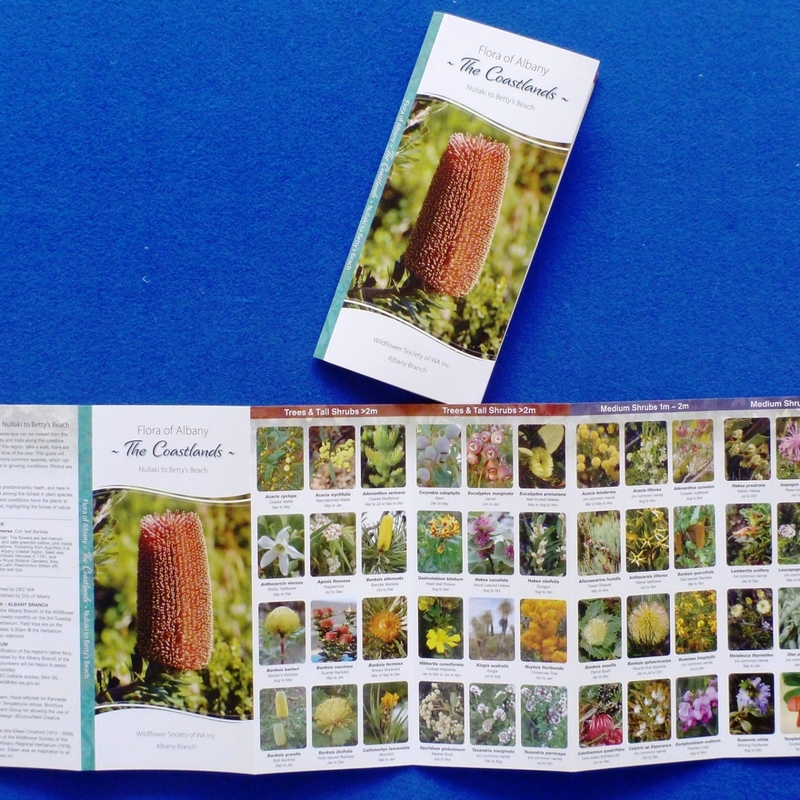 This excellent guide is packed with full colour pictures of the massive array of wildflowers in the south coast region listing botanical and common names and even the flowering period. The guide includes a map of where these flowers can be seen. Fits easily in your pocket. 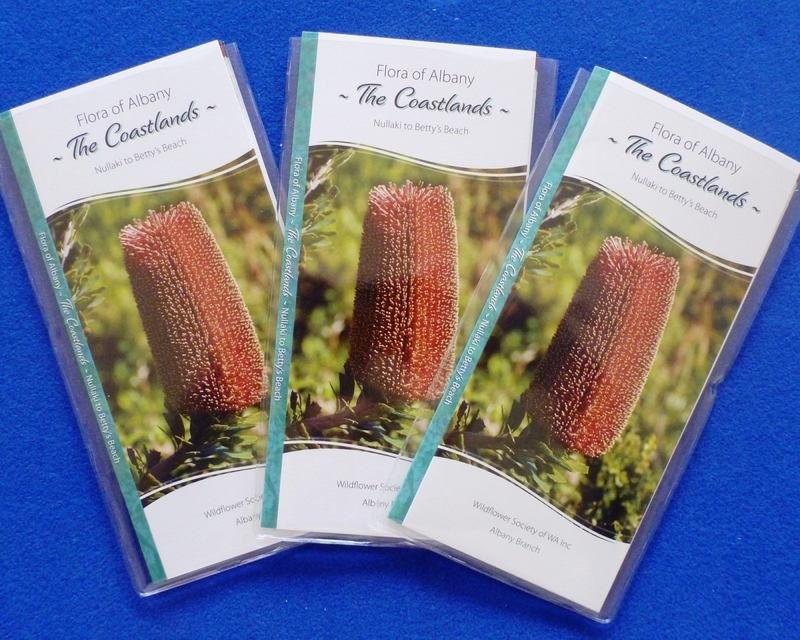 Produced by Wildflowers Society of WA Inc. – Albany Branch.